Can blockchain save Robin Hood? Problems started when the artists began to raise money and invest in the stock market. The university administration took issue with the concept and forced the co-op to shut down. Instead of shutting down, the artists left the university to venture out on their own. Since then they focused on building a global network of countercultural investors from Helsinki to California. The Robin Hood Co-op doesn’t exactly steal from the rich to give to the poor. The goal is to distribute profits to worthwhile causes globally. “Part of the profit generated by the fund is invested into projects building the commons,” according to their website. They have no regular offices and meet in different places, often abandoned buildings, to hold workshops in conjunction with a local host group. “In the hall is a naked woman painted blue, wearing a gas mask, dancing to the sonic violence of industrial deathmetal music. Next door is a punk street-theatre collective manufacturing artificial vomit in buckets to throw at a protest (CCPA Monitor, Nov/Dec, 2018).” Among the assembled were hackers, coders, designers and artists. The meeting had the feeling of the blend of an intellectual salon, a hackathon and a political campaign meeting. Not your average corporate boardroom. Portuguese artist Ana Fradique, who co-manages the fund, describes Robin Hood as “artivism”—a mix of arts and activism. That’s an ongoing tension amongst activists: do you work within the system to build a more equitable world or tear down the system and rebuild it from scratch? I many respects, Robin Hood Co-op is conventional. They invest in the Wall Street stock exchange using an algorithm they invented called “The Parasite.” Assets in the co-op are called Robyns. In the first year of investment, they made double-digit returns. Some of its first distributions went to the autonomous arts space Casa Nuvem in Rio de Janeiro (€5,000) and the activist broadcaster Radio Schizoanalytique in Greece (€6,000). However, Robin Hood Co-op members are impatient to grow. They plan to expand the model beyond the Parasite algorithm to implementing blockchain. “Robin Hood 2.0.” will be “even more monstrous” than the first incarnation said one of the co-founders. Rather than being based in Finland, they wants to transform Robin Hood into a decentralized global cryptofund using blockchain -the underlying technology of cryptocurrencies such as Bitcoin and Ethereum. While Bitcoins are turning out to be a bit of a dud, the technology of blockchain is promising. It’s an indelible ledger in which anything can be permanently recorded, including shares in an activist hedge fund. The advantage of blockchain is that it’s decentralized and global. It’s a big leap. Implementation of blockchain will require a change in the culture of the co-op and paid staff. Time will tell whether this chimera of art and capitalism will prosper. The era of globalization is drawing to a close. Evidence of that has been made clear by President Trump’s withdrawal from global affairs, his attempt to build an economic and physical wall around the United States. It’s a clumsy attempt to express the genuine concerns of Americans who have been left out of the prosperity reaped by a few. Two billion people around the world have no access banking. They are unable to make loans to start small businesses; they have no credit, and no means of sending or receiving money. And the rest of us have is rigged banking system. We are nickeled and dimed in every banking transaction and pay exorbitant interest rates on credit cards. We are told that a healthy banking system is fundamental to a healthy economy. Yeah, right. Banking funnels money into the pockets of the rich who have so much that it just lays around in piles, uninvested, while worthwhile social programs and enterprises go threadbare. When U.S. banks failed during the Great Recession of 2008 -because of bad business practices- they were bailed out with taxpayer’s dollars. They were rewarded for bad investments while homeowners who couldn’t pay bank-approved mortgages were thrown out on the street. The technology of blockchain holds promise to restore balance and eliminate excessive fees through use of a universal digital currency, or cryptocurrency. The first digital currency, Bitcoin, leaves people wondering. It has a reputation of being highly speculative. But there are many versions of cryptocurrencies that would work and many possible versions of blockchains –the digital ledger which records transactions. 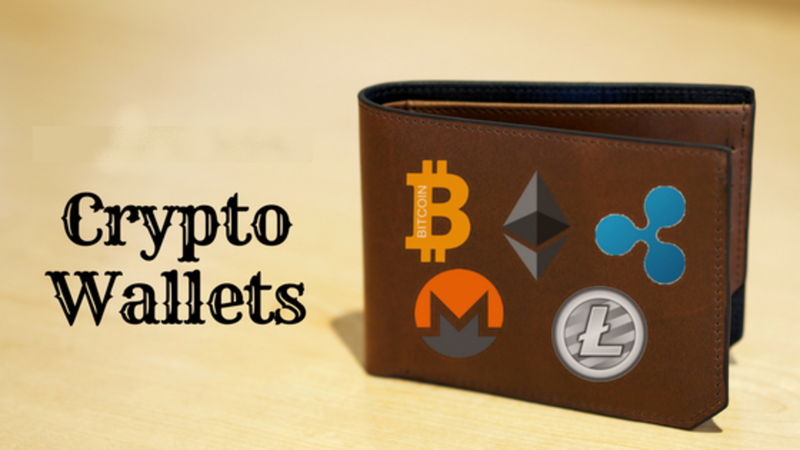 The advantages of cryptocurrencies over banking are that your money is held in a digital wallet and easily accessed; credit card payments are quicker and less expensive; you remain relatively anonymous (pseudonymous) with minimal information shared; you are the master of your money, there are no banks or boundaries to the flow of money. “Creating digital identities whose existence is independent from governments and corporations is the next grand challenge that blockchains both pose and could help solve,” says Smolenski. With the dawn of the era of a “Universal New Deal,” cryptocurrencies could redistribute wealth and put money in the hands of those who will spend it. The future of blockchain mining in B.C. Blockchain mines look nothing like copper mines. They are banks of computer that toil away at solving complex calculations. 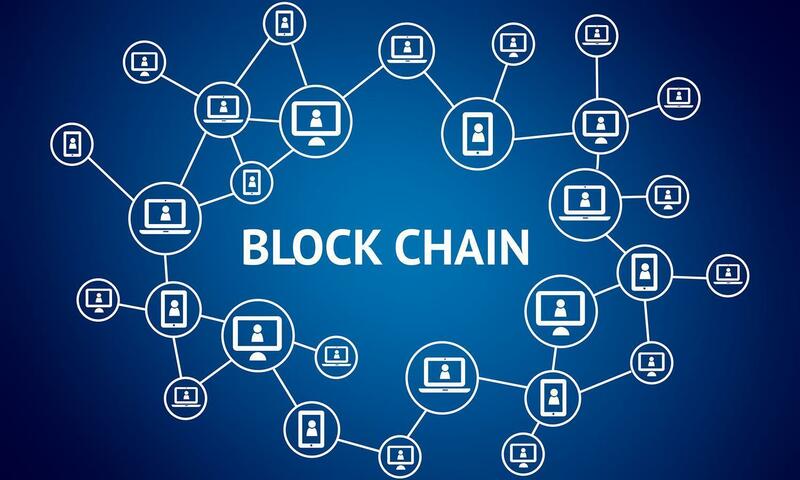 Blockchain is the digital ledger used by many cryptocurrencies such as Bitcoin. Because the computers generate heat, they could be used to warm the greenhouses to grow the tonnes of marijuana needed for Canada’s budding legal market. Where the value of Bitcoins is highly speculative, the value of blockchain is solid. Unfortunately, that doesn’t stop blockchain from being caught up in a goldrush mentality. Irrational investors are madly rushing into some dodgy speculations. Convinced that anything with “blockchain” in the title is “the next big thing,” investors threw $2 billion into blockchain startups worldwide. One company saw shares rise 394 per cent by just adding “blockchain” to its name. 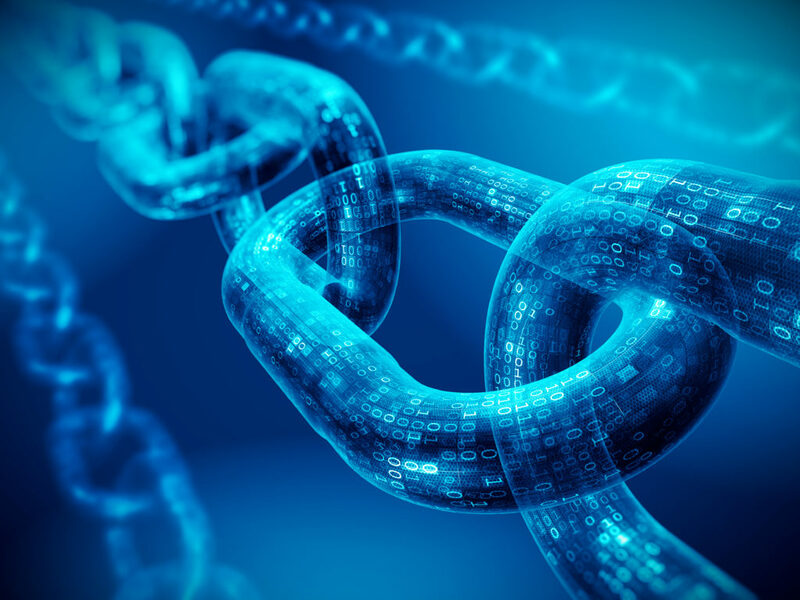 Blockchain can be used to secure any vital records such as medical files, business deals, legal agreements, tracing shipping containers, farm-to-market food security; even professional and academic records which are now open to fraud. Walmart and Nestle have already invested in blockchain. Bitcoin miners loan their computers to solve the complex blockchain calculations required for each transaction. 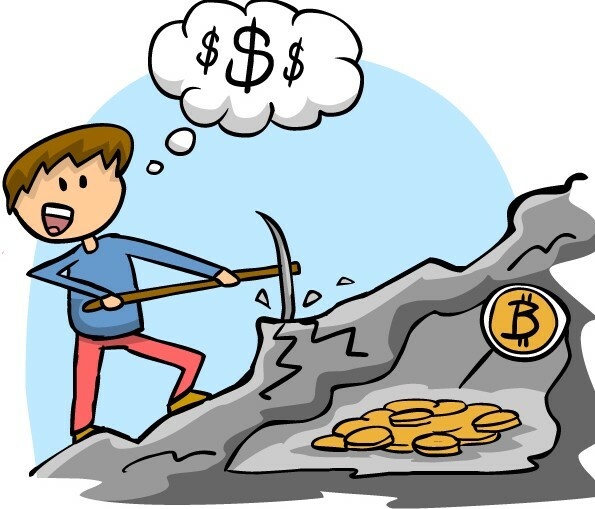 Miners are paid in Bitcoins in return. Drew Taylor has a Bitcoin mining operation in his Montreal house. He earns about $3,000 a month and pays additional costs of $200 for electricity. The computers generate a lot of heat. “But essentially it is free heat for at least one room,” he told CBC Radio’s The Current. The amount of power used for each Bitcoin transaction is shocking high. Alex de Vries monitors the power used in Bitcoin mining. Just one transaction uses as much energy as the average B.C. household uses in 13 days. That’s 300 kilowatt-hours for each transaction. Researchers are looking for ways to reduce the power consumption. The best place to locate Bitcoin mines is in places where the electricity is cheap. Montreal has relatively cheap hydroelectricity. Iceland has a large mine because the majority of their energy comes from geothermal and steam. Unfortunately, not all cheap energy is as green. China and India do most of the mining where the electricity is cheap but produced by burning dirty coal. Once B.C.’s Site C dam is completed we will have lots of cheap, surplus electricity that could be put to use in blockchain mining. Blockchain mining is comparable to copper mining because both use a lot of electricity. Highland Valley mine near Kamloops uses as much electricity as 60,000 homes, about twice what Kamloops uses. An advantage of blockchain mining is that a secondary industry could use the waste heat. Marijuana greenhouses could use the computers as heaters so that not one kilowatt hour would be wasted. In addition, blockchain mines could be located near the dam to avoid the cost of transmitting electricity. The digital mine would employ workers close to home in small towns in B.C. Instead of using our dam power to run LNG compressors, we could put people to work mining digital dollars and growing marijuana for Canadian’s burgeoning market. The future of cryptocurrencies such as the bitcoin might be unclear but the technology behind it is solid. Blockchain is the digital ledger where bitcoin transactions are kept. It’s transparent, secure and open for all to see. The origin of blockchain is mysterious. Some person, or group, with the anonymous name Satoshi Nakamoto is credited with inventing blockchain. Who this person is remains obscure. The Public Health Agency of Canada reported earlier this month that 21 people became sick after eating romaine lettuce. While PAHC knew what caused the illness (E. Coli 0157) they didn’t know where the lettuce came from. Tracing contaminants can be a matter of life and death. “Every year, more than four million Canadians get food poisoning. In recent years 474 cases of [the deadly disease caused by E. Coli 0157] have been reported annually,” says foodqualitynews.com. Big Food is considering blockchain as way of tracing contaminates. Wal-Mart sells 20 per cent of all food in the U.S. and tested blockchain compared to standard methods of tracing food. They traced the source of mangoes in one of their stores using the standard method and it took six days, 18 hours, and 26 minutes to trace the fruit back to its original farm. Using blockchain technology, it would take 2.2 seconds for anyone –consumers and suppliers alike- to find out anything they want. And it would prevent good food from being thrown out. Blockchain won’t be implemented without the involvement with everyone along the food chain. The record will only be as good as the data entered. Giants like Wal-Mart can force supplier participation. Governments could also force compliance. With the health of consumers at stake, regulated participation would make the records complete and useful. Cryptocurrencies may be a fleeting gimmick to have investors part with their money but let’s not throw the blockchain out with the bitcoin.